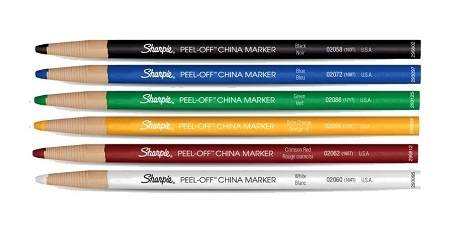 Ideal for marking on any smooth surface including ceramics, glass, plastic, film, paper and rubber. Paper-wrapped, just pull string and pull down strip to reveal more marker. Non-toxic. Sold in dozens.